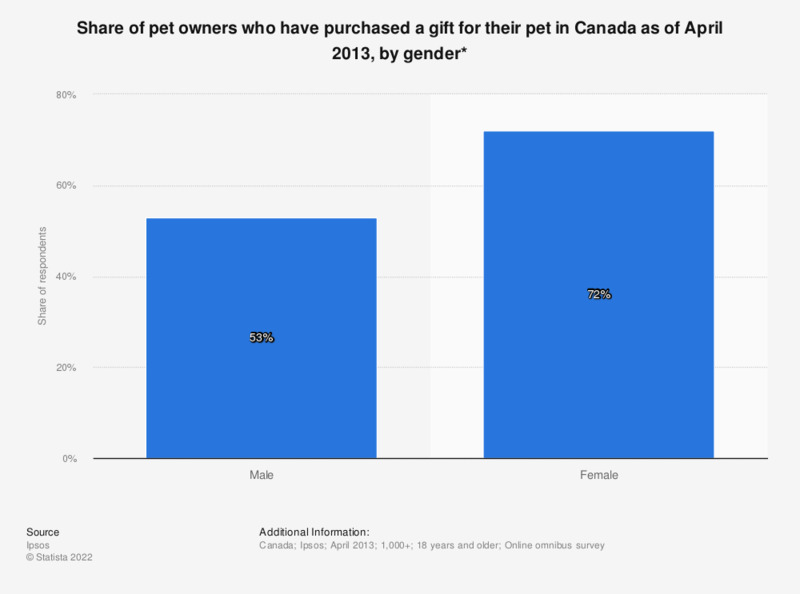 This statistic shows the share of pet owners who have purchased a gift for their pet in Canada as of April 2013, by gender. During the survey, 72 percent of the female respondents answered that they had purchased a gift for their pet. * Respondents were asked the question: "For pet owners, thinking about your pet(s), have you ever purchased gifts, such as holiday or birthday presents for them?"